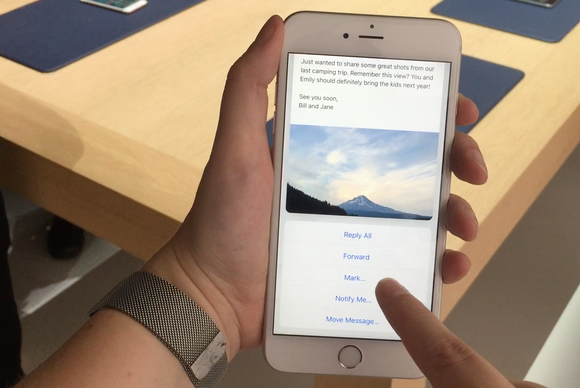 Before the iPhone 6s launched, no one was sure how Force Touch on it would work. Now we know—it works just great. Since the Apple event last week, I’ve been thinking a lot about 3D Touch on the iPhone 6s and how features alone don’t make a product. 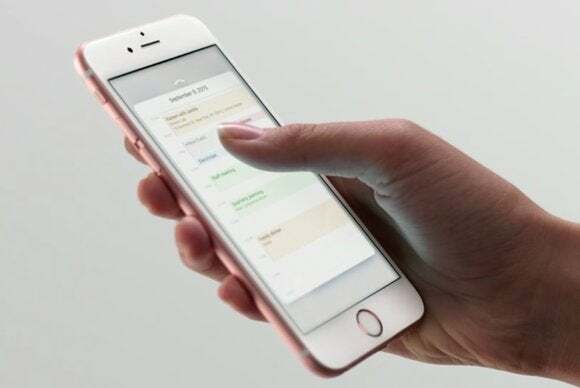 In advance of the event, we all read the reports that the new iPhone would offer a pressure-sensitive features that would trigger pop-up menus and previews and the like. And as I read stories and listened to podcasts speculating about the new iPhone, it was clear that everyone was struggling with how a feature like pressure-sensitivity (or the Force Touch from the MacBook trackpad) would really make sense. Then Apple introduced 3D Touch, and it started to make sense. And once I got a chance to spend some time with 3D Touch, it really made sense. I don’t want to say it’s easy to add pressure sensitivity to a touchscreen, because it’s not. It’s incredibly hard. Apple had to engineer a system of sensors that could accurately detect touch pressure across the face of the iPhone’s screen, and do it on a product that’s roughly the same size and weight (and exactly the same price) as its predecessor. This is tricky stuff, and while it’s stuff that Apple excels at, it’s not hard to imagine someone like Samsung coming out with a phone next year with exactly the same hardware feature. But here’s the thing about Apple: The hardware isn’t enough. 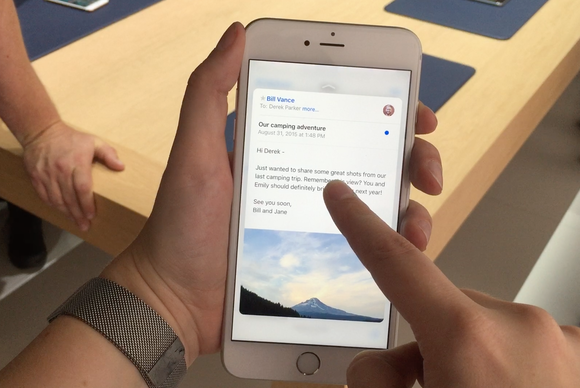 When we were all imagining what “Force Touch on an iPhone” would be, we weren’t imagining what 3D Touch is. Skeptical tech observers were spending time envisioning all the ways a pressure-sensing touch system could go wrong. Errant touches, mistaken activations, unnecessary interface gadgets–every potential pitfall was envisioned and fretted about. 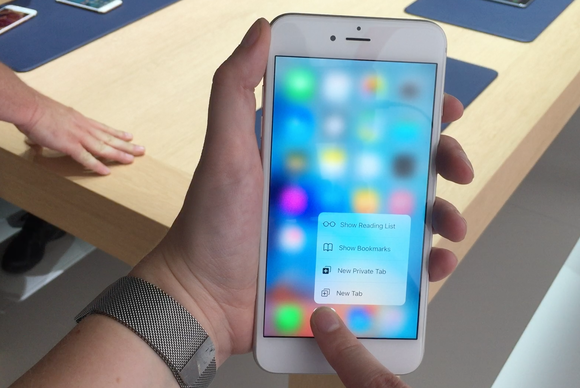 3D Touch an icon on the iPhone 6s home screen for Quick Actions, or shortcuts to popular tasks inside that app. Holding the iPhone 6s in my hand, though, it was utterly clear that Apple had done a tremendous amount of work on the software side to take advantage of the hardware it had built. This is the stuff that separates Apple from its competition, and I can’t think of a more impressive example than 3D Touch. When I used the iPhone without attempting to enable 3D Touch, it didn’t enable. When I tried, it worked. In Messages, I was able to push on a message preview and receive a “peek” at the full message, with accompanying vibration. When I wanted to commit to opening that message, I pushed a little harder and was greeted with another vibration as the full message “popped” in. The "peek" and the "pop" sound complicated, but they're easy, almost effortless, to use. 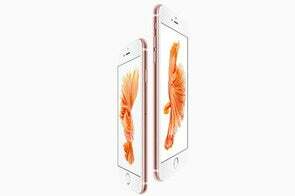 It’s so hard to communicate the experience, though plenty of people will get to enjoy it themselves in a bit more than a week when they start receiving the iPhone 6s. The best way I can describe it is that for all my attempts to get 3D Touch to misunderstand me, it just couldn’t do it. I didn’t need to use the heavy-fingered press I have to use on the Apple Watch–the 3D Touch on the iPhone 6s is almost gentle. And in moments my fear that this would be a feature that people would trigger accidentally and not understand what just happened started to fade away. Unlike taps and tap-and-hold gestures, which you can easily do without noticing, the extra haptic feedback of a 3D Touch really gets your attention. Learning the necessary amount of force to apply will take the average human approximately 30 seconds. This is stuff that fits right into our existence as creatures with dextrous fingers and opposable thumbs. Apple has always loved playing the technological magician. The company wants its products to surprise and delight you, and the more technical details you know about a product, the more the how’d-they-do-that spell is broken. Sometimes they’ll break those rules, when it benefits them–I’m thinking of the company’s detailed explanations of why the iPhone camera’s sensors are superior to rivals as a means of deflecting criticism of its relatively low megapixel count–but most of the time the company keeps mum on topics like processor speeds, RAM totals, and the like. You can get a little sense of how difficult 3D Touch must have been to build from John Tyrangiel’s piece on Bloomberg, which benefits from some inside access into Apple’s design studios. But really, the challenge here is huge. How do you take inputs from a capacitive touchscreen and a bunch of force sensors and determine whether the person holding the phone is just tapping, or using 3D Touch, or not even intending to touch the screen at all? Anything that lets you deal with email faster is a plus in my book. “Sensing intent” is exactly right–and was exactly what I thought when I first used 3D Touch. It didn’t feel like I was pushing on a dumb piece of glass and waiting for a certain pressure level to be achieved. Instead, when I wanted to trigger the feature, it did, and when I didn’t, it didn’t.